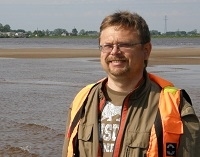 On 1 March Oktyabrsky district court in Arkhangelsk convicted Ivan Moseyev, 47-year-old director of the Pomor Institute of Indigenous Peoples and Minorities research and education centre at the Northern (Arctic) Federal University named after M.V. Lomonosov. He was found guilty of insulting the dignity of the Russian ethnic group and sentenced to a fine of 100,000 roubles, says lawyer and legal analyst for the Agora Human Rights Association Ramil Akhmetgaliyev, who together with lawyer Veniamin Belovy is representing Moseyev. The defence is appealing against the conviction, saying it is illegal and groundless. During the proceedings the state prosecutor dropped the charges relating to inciting hatred against the Russian ethnic group and asked for the accused to be sentenced to a fine for insulting the dignity of this ethnic group. The defence was based on linguistic studies which found no evidence of extremism in the phrase attributed to Moseyev, as well as on the numerous gross errors of the investigators, and asked the court to clear the civil activist on all charges. "Unfortunately, at no point in the process did the prosecution and judge manage to establish the truth, and they did everything in their power to cover up the shortcomings and gaps in the investigation," said Ramil Akhmetgaliyev. "Any conviction, no matter how small the fine, is punitive to Moseyev and will stay with him for the rest of his life, since a conviction for extremism, even once it is spent, will prevent him from taking up academic, public and research activities in the future." At the latest court sessions the defence team presented extrajudicial linguistic research carried out by specialists at the Lobachevsky Nizhegorodsky State University, who, like an expert from the Northern (Arctic) Federal University in a previous study, found no evidence of "incitement to discrimination against citizens on the basis of their ethnicity" in the phrase attributed to Moseyev. The study was carried out by Elizaveta Koltunova, a member of the Guild of Linguistic Experts on Documentary and Information Disputes, PhD in Linguistics, associate professor at the linguistics faculty of the Lobachevsky Nizhegorodsky State University, and Professor at the International Slavic Academy, with over 35 years' experience and 15 years' experience as an expert, and Timur Radbil, PhD in Linguistics, Professor at the Faculty of Contemporary Russian Language at Nizhegorodsky State University, with over 20 years' experience. The experts came to the conclusion that the words for which Moseyev is being prosecuted, ""What are you doing to us? You are millions of cattle while there are only 2,000 of us," "do not contain any verbal means supporting the rationale or justifying the need for genocide, mass repression, deportations or other illegal acts, including the use of illegitimate violence, against a particular ethnic group." The linguists said that there were no statements in the materials "containing any rationale or justification for the need to violate the rights, freedoms or legal interests of an individual or citizen on the basis of their nationality or ethnicity." Elizaveta Koltunova and Timur Radbil concluded that "the comment 'What are you doing to us? You are millions of cattle while there are only 2,000 of us" did not contain any calls to discriminate against people on the basis of their ethnicity. When earlier questioned in court, Tatyana Sidirova, a specialist in the field of Russian language, text linguistics, verbal conflict resolution studies and legal linguistics, PhD in linguistics, professor at the faculty of Russian language and verbal culture at the Institute of Linguistics and Intercultural Communication at the Northern (Arctic) Federal University named after Lomonosov, who has over 40 years' experience, including 20 as an expert, said that the phrase at the centre of the dispute "What are you doing to us? You are millions of cattle while there are only 2,000 of us," for which Moseyev is being prosecuted, contained "no indication of any well-known nationalities or races," and that "the millions could be any people."